Alwaleed Philanthropies, chaired by Prince Alwaleed Bin Talal Bin Abdulaziz AlSaud, delivered the first instalment of the 100 vehicles pledge to Careem as part of efforts to empower Saudi women to work as Captainahs on the ride-share platform. Alwaleed Philanthropies distributed the cars to the Captainahs at the headquarters of Aljazirah Vehicles Agencies in Riyadh. 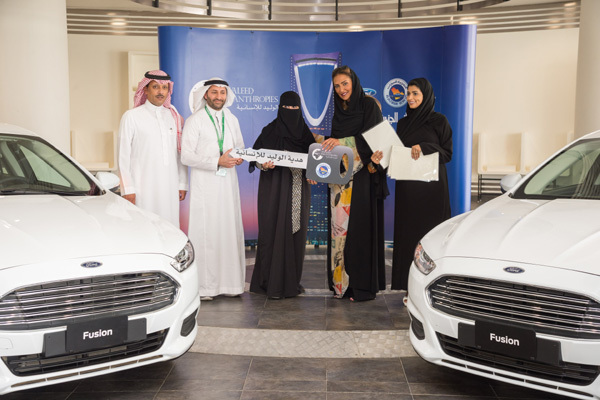 Alwaleed Philanthropies and Careem Company acted pursuant to the Royal Order empowering women to work as their custodians within the legal and regulatory disciplines in order to contribute to the economic development of Saudi Arabia. The project aims to develop and invest in women's talents and to enable them to obtain suitable opportunities to contribute to the development of society and the economy, and to increase their participation in the labor force from 22 per cent to 30 per cent, as well as to contribute to reducing the financial burden on the Saudi family for the recruitment of drivers.